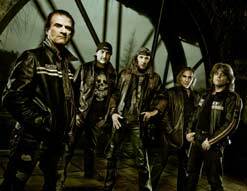 Internationally known as the top rock band to come from Switzerland, Krokus made huge waves when they released their album, Hoodoo, in their homeland in late February. It should come as no surprise that within the album’s first week, it shot up to No. 1. Four weeks later, Hoodoo received platinum status in Switzerland and has been sitting comfortable ever since. The U.S. release date for Krokus’ latest is set for May 25, so do yourself a favor and pick it up!